Katey was a shy girl. 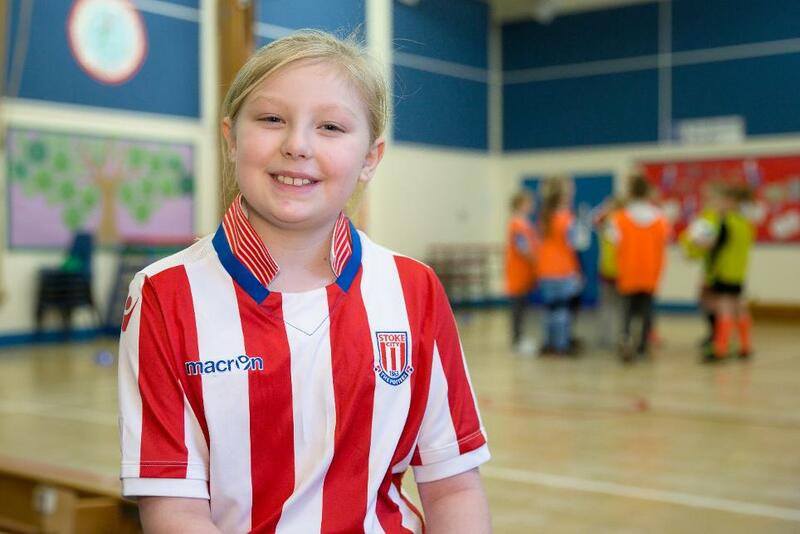 But along with a friend she started going to girls football sessions run by Stoke City Community Trust. There the sessions are very much based on enjoying the game, with music to create a fun environment. The benefits to Katey are not just happening with the ball at her feet, as her coach Lucy Ridgway explains. "Katey has definitely developed on her communication and her personality side as well as confidence and technical ability. She will talk to people more. "At the beginning she was shy and now she wants to set up the games and be a part of it. "So all the skills: leadership and communication as well as the technical side have developed." And the positive impact from improving her football skills is not just evident at the girls football sessions but in Katey's school life, too. "At school, where Katey said, 'I’d never dare join in with the boys, they'd never involve me,' she now plays. The boys perceive her differently." The club and Stoke City Community Trust are also looking to the longer term by giving the girls free tickets to watch the Stoke City Ladies team in action, providing them with role models and heroes to aspire to as well as a broader appreciation of the game. “Speaking to Katey and her mum she says she has been inspired by going along to games and that has had a really big part," Lucy says. Across all of their Premier League programmes, Stoke City Community Trust have engaged over 1,000 women and girls since September 2016. One of those initiatives is Premier League Girls Football, which is delivered through 87 football clubs and is funded through the partnership between the League and The FA. Since the initiative began in September 2013, over 42,000 women and girls have been engaged, with 16,000 taking part this season.